Ultimate Fighting Championship (UFC) recently tied a ribbon around its UFC Fight Night 96 mixed martial arts (MMA) event, which took place last Saturday night (Oct. 1, 2016) inside Moda Center in Portland, Oregon (results), and there was a lot to talk about when all was said and done. 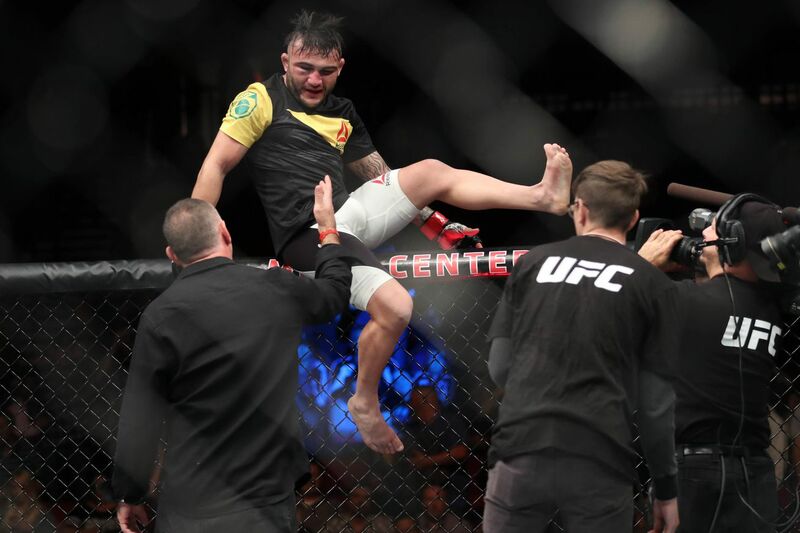 Top bantamweight contender John Lineker was able to secure the No. 2 spot at 135 pounds after his five-round war with John Dodson (replay). Elsewhere on the UFC “Portland” card, Brandon Moreno cracked the top 15 with his upset win over Louis Smolka (video). UFC 204 open workout video highlights featuring Michael Bisping, Dan Henderson, and more!